Pepa Curriu started her education at the Sant Cugat del Vallès Art School, and she graduated in Painting in the Barcelona’s School of Art & Design , “La Llotja”. 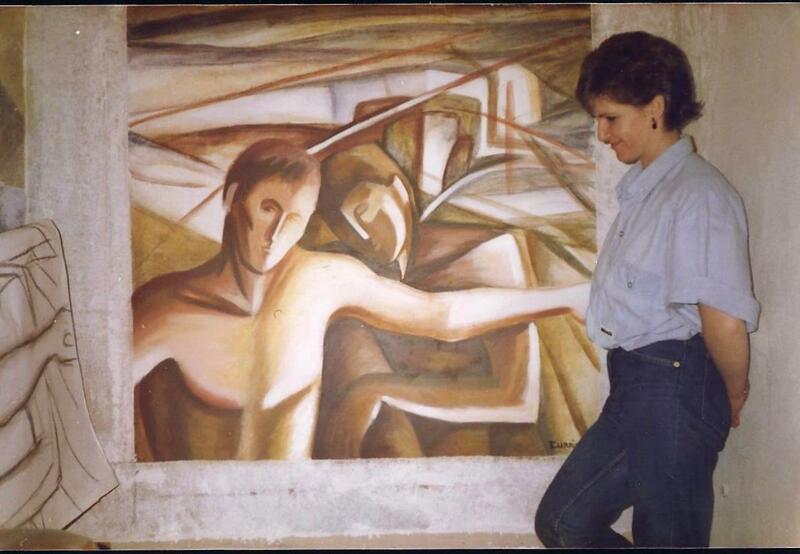 She has had several individual and collective exhibitions, she has been a drawing and painting teacher and above all, she has explored many pictorial techniques and media. Art is a message, a means of expression, a form of communication. First is the composition, it expresses the freedom of the painter as it allows you to order things in your own way, seeking harmony. Grouping shapes and colors, in one way or another, can define the success or failure of the work. Secondly, light, which is another important element in painting, and which has its own value, purely sensory. In turn, light is color. Colours have an influence on each other; between them a neighborly relationship is created. The same colours express in each painter different things, determining the style of each painter, since they are used with total freedom and subjectivity.